Repackaged to feature Tolkien's own painting of the Tree of Amalion, this collection includes his famous essay, 'On Fairy-stories' and the story that exemplifies this, 'Leaf by Niggle', together with the poem 'Mythopoeia' and the verse drama, 'The Homecoming of Beorhtnoth', which tells of the events following the disastrous Battle of Maldon. Fairy-stories are not just for children, as anyone who has read Tolkien will know. In his essay On Fairy-Stories, Tolkien discusses the nature of fairy-tales and fantasy and rescues the genre from those who would relegate it to juvenilia. The haunting short story, Leaf by Niggle, recounts the story of the artist, Niggle, who has 'a long journey to make' and is seen as an allegory of Tolkien's life. The poem Mythopoeia relates an argument between two unforgettable characters as they discuss the making of myths. Lastly, and published for the very first time, we are treated to the translation of Tolkien's account of the Battle of Maldon, known as The Homecoming of Beorhtnoth. 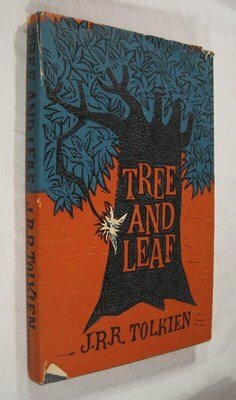 Tree and Leaf is an eclectic, amusing, provocative and entertaining collection of works which reveals the diversity of J.R.R. Tolkien's imagination, the depth of his knowledge of English history, and the breadth of his talent as a creator of fantastic fiction.